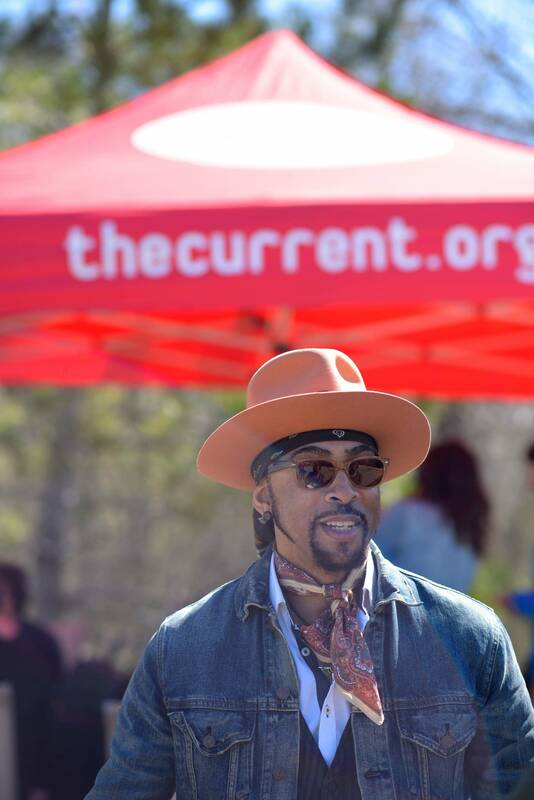 André Cymone has been a key part of the Minnesota music scene for 40 years — starting when he was just a boy, playing with his friend (and sometime housemate) Prince in the band Grand Central. A successful solo career, launched in the 1980s, includes Cymone's most recent album 1969. Cymone, who will be at the Turf Club with his band on Friday night, stopped by The Current to pick a few songs and chat with Local Show host Andrea Swensson. Andrea Swensson: You have a lot going on this year. Not only have you been participating in the NPG tributes to Prince, but you also put out a record, 1969, and you're coming home for a show at the Turf Club on July 28. Tell me about this album -- I know you've been working on it for a while, and it finally came out in April. How long have you been working on these songs? Cymone: Well, I actually hadn't worked on it that long, but I finished it and it was supposed to come out on my birthday last year, but I put it off for almost a year. And then just tried to support the fans and family members and people that were really very much affected by Prince's passing. Andrea Swensson: You did such a tremendous job at the Revolution shows last fall and at Paisley Park in April. What was that experience like for you, to play at Paisley Park? Cymone: It was the first time I ever played there. I think I'd only been there one other time. And that was one time Prince asked me to come there, and it was when he and Mayte were expecting and he wanted me to hear the baby's heartbeat. He heard that I was in town and called me and said, 'You gotta come here, I want you to hear something.' He gave me a tour of Paisley Park and then he pulled up his heartbeat on the computer and said, 'Listen to this.' And it just blew my mind, he was so excited. But that was the only time I'd been there. So it was really very weird, very bittersweet because it just seemed to be there, without him being there — it just was strange for me. But, obviously when you say you're going to do whatever you can to support you just go and you have to soldier through. Even though it's really, really tough and you know sometimes it's almost too much. It's times I have to say I wind up just with a face full of tears. I was talking with the horn players and we were talking about stuff and it's the strangest thing — they'll say something and it'll just be, it'll just hit me out of nowhere. It's like the thing with Morris [Day], when I ran into Morris. I ran into him and he started asking me, 'How is this affecting you?' And I hadn't really thought about it that much. And he said, 'Because you guys go way back' and he started talking about, 'Well I remember the first time I saw you guys together.' And you know, after I walked away from him and I started thinking about it — you know because I mean a lot of years had gone by since then — I realized that guy, that kid that I knew, that guy's gone. And we had, obviously an extreme bond and it starts to hit you. We go through our lives and everybody grows in different ways and that person that you knew at that one point isn't that person anymore or that person you knew at a different point has changed and morphed into this other person. It just so happens in my case he morphed into this mega rock star. And so I hadn't really thought about the loss of this person that I knew, this little character that I knew when I was a little character myself. And so I guess that's what makes it kind of hard. So, to answer the question, it was really bittersweet, hard. But, in the end to really see how much it means to the fans because at the end of the day that's what it's really all about. Prince had — you know out of his just perseverance and dedication and his perfection to his craft — he had the most amazing fans and deservedly so. And so to be able to give them what I would hope, if the roles were reversed, he would do for me, but it was to give them the experience for whatever it means to them for me to be involved, it's the least I can do. Andrea Swensson: That's beautiful. So we're going to have you play DJ a little bit today. What song should we start with? Cymone: Let's see, well I gotta say there's this group called the Hold Steady, in which you might be familiar with. They got a song, I think it's called "The Swish," and they actually talk about me in it and it's kind of cool. It kind of caught me by surprise. Somebody told me about it maybe a couple years ago and I was like, really? I heard it and I went and got the record and was like, oh this is cool. And so on my album, this album that's out, when I'd first started I'd written a song and I mentioned them in that song, but that song didn't wind up being on this particular album. Although, the song that it's on, it's a little more James Brown-y, kind of a little more funk-rocky which is a little different for the sound. So it's going to come out at some point, but yeah I wouldn't mind rocking that bad boy. It's a good song. Andrea Swensson: These guys are going to be joining you at the Turf Club on July 28. What made you curious about ZULUZULUU? Cymone: Well a couple of things. One of the members is the son of a really good friend of mine from way, way back; we grew up together. And he would send me messages on Facebook, 'Man you gotta check out my son, you gotta check out my son.' And then I started hearing about them and I said well I heard they were playing in Los Angeles, so I was like well let me go check them out. So I went to the show and it was insane. I mean, the show didn't start till like midnight so we were up until like three in the morning, but it was an amazing show. I mean and they completely tore it up, hip-hop heads and people who are really into what they were doing were just en masse; they were out and they were loving it. So it was great and yeah, I'm looking forward to it, it's gonna be a great show. Andrea Swensson: I have an opinion about these guys I want to run past you. I feel like the way that they're combining all these different modern influences — like hip-hop and R&B and soul and funk — it feels kind of in the same vein as what you and Prince were doing back in the late '70s, trying to kind of mix together all of these different sounds. Do you see them as a continuation of the Minneapolis sound? Cymone: Absolutely, because they're, well they understand. If you listen to what they're doing, if you listen to their music, you hear the musicality. It's just not all music from something else or somewhere, they're playing stuff — they're playing instruments, they're singing — and there's a whole combination. But they're smart enough to know that in order to bring a certain element of their audience along with on their ride, you gotta touch a few bases. They're doing the smart thing. I mean we had to do the same thing because we were coming from a rock, funk kind of thing and for us to break in because everybody was into this heavy R&B thing at the time, we had to do the same type of thing at that point. You gotta do what you gotta do, so they're doing the same thing, which is beautiful. Andrea Swensson: Nice. So, the next song that you chose is a Bob Dylan song, and you were telling me a cool story about a time recently when you got to play this song live. Cymone: Yeah, it was in Atlanta, Keith Ellison was there trying to become the head of the DNC. 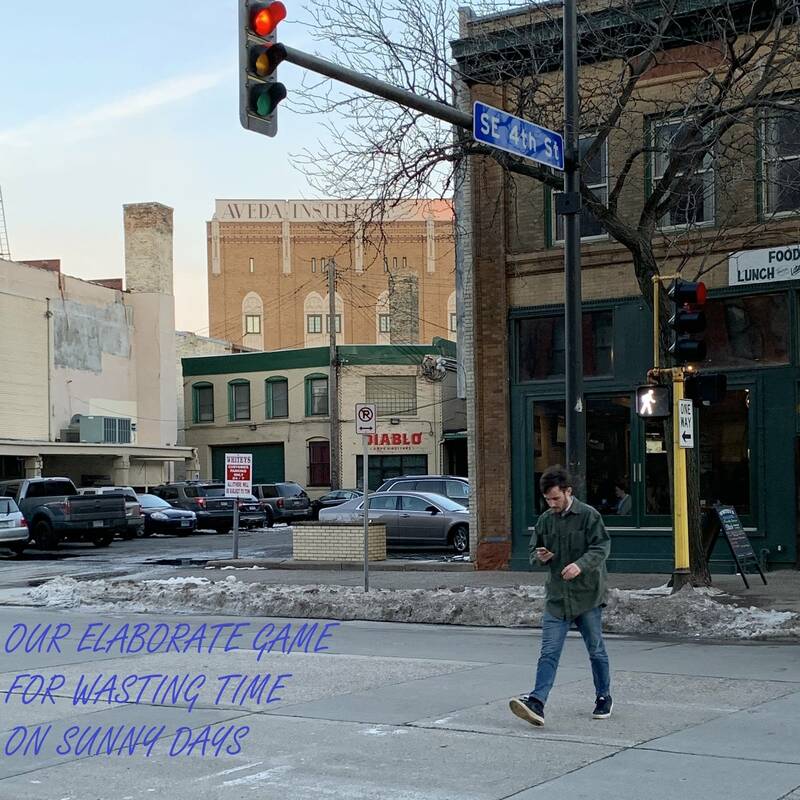 I stay connected -- people may not know this, but I try to stay connected to Minnesota and politics in any way I can. I was in Atlanta and I did "The Times They Are a-Changin'" because times really are changing right now, which is what my album, 1969 is all about. It's like the reality that we've gone so far, we've come so far, we've done so much, yet we still seem to be back at some place that doesn't make sense anymore. We've evolved and now we've gone backwards and I have a very, very opinionated reason and version of looking at it. One of the things that I think is kind of cool for me — well I don't know if cool is a good way of putting it, but — it's very interesting because being born and raised in Minnesota and leaving and going to California and travelling around the world and doing the different things that I have to do. To come back here and to see the stark contrast of change, I see exactly what's going on. I see the looks on people's faces and I see people looking at different people and blaming and going 'them' and isolation and the different sort of thing. But in my opinion, people are looking in the wrong direction because if you think about how these changes have come about, it's by laws, its by legislation. It's not by people just deciding, oh we're going to descend on Minnesota or these demographics are going to do this, this is going to do that. No, people wanted cheap labor and so they brought cheap labor into the city. And so people are blaming, they're looking in the wrong direction...but anyway, that's a whole political thing. But that's what my album is all about and that's kind of what I'm talking about because I really want to do what I can do to try to open people's eyes and get them to look at things from a different perspective. Andrea Swensson: Sure, yeah. There's a line on the title track on your record that I love: "it feels like 1969 all over again." And it brings in this kind of cyclical feel and I think you can hear echos of that in this song by Dylan too. Andrea Swensson: What is it about that Time song in particular that you like? Cymone: Ah man, I saw them in Detroit and they just — this was back in the, man I guess the 80's — and they just killed it. I think Vanity was there and I obviously knew everybody really well. I was already gone and doing my own thing and all of that, but I just happened to be in Detroit for whatever reason and so I went to the show and god it was just amazing. I mean they were on fire and ever since then, just to see the audience respond to, these guys. A lot of people might not understand it, but I helped put some of this stuff together, so I felt slightly responsible for a little bit of this. It just really made me feel proud, it made me feel good to see them doing it and to see people in a different city respond the way that they did. So I was just, I was blown away and that song was like the epitome. Even now, like every now and again I'll do a version of "Cool." I'm trying to get the NPG to do a version. Andrea Swensson: What is it like for you to know the Morris Day of your teen years and the Morris Day that was the drummer in Grand Central, and then to watch him become the frontman of the Time? Was that a different Morris Day? Cymone: Oh, it's so stark. You just, you have no idea. Morris is just an unbelievable drummer, unbelievable. I'm talking about there's still to this day, there's few drummers — in my opinion — that are as good as he is. And when he was in our band, he literally would come out and sing maybe one song which would be, I think it was "Love Won't Let Me Wait," which was a ballad — he's the one who wanted to sing it. And it was either that or "Me and Mrs. Jones," they were kind of the same type of ballads and we'd let him come out and sing it. And so to see him singing the Time stuff and being in front. And Morris dancing was another thing because when we were kids Morris never, ever danced. Ever. You'd see him at parties and clubs, you'd see me and Prince always you know dancing and getting our little boggie on and all of that and William and Terry, but Morris and Linda, my sister, never. Andrea Swensson: Interesting. So yeah, it was a transformation. Well this next song coming up that you've chosen is a heavy one, and you did a beautiful cover of this at the State Fair with me last year — which I really appreciated — but what is it that keeps you returning to "Sometimes It Snows in April?" Cymone: That song, if you listen to the lyrics, is him basically telling a very interesting story about his life and I guess that's why it gets me so much. I fell in love with that song way back in, I guess the '80s or something. When I first heard it I thought — because when we were kids, we used to have this little competition thing about writing songs and trying to see who could write the most beautiful song. And I'd write a song and I'd say okay, what do you think about this and he'd say, 'Eh, it's good but I don't know if that's the most beautiful' and he'd write a song and I'd say, 'Eh it's good, but I don't think that's the most beautiful though,' so we'd go back and forth. But I truly have to say — I mean and I'm sure he's written hundred, thousands, definitely written way more than you would ever know — but I think that in my opinion, if he came to me now like we did back when we were kids and he played me that, I'd say I think you got it dog, I think you did it because that's a beautiful song. I mean it is, it's just, it's beautiful. Andrea Swensson: So we just heard something from a group called the Girls, can you tells us more about this? Cymone: Ah man the Girls were an amazing group, each one of them individually were singers in their own right. I think my brother really kind of had a lot to do with putting them together because he had suggested early on, 'You know there hasn't been a girl group out in a long time, since the Supremes, that was really doing anything.' And so I said, well put something together and I'll, you know. And so he knew Doris and I think he knew Germain — or I don't know if he knew, I know he knew Doris and then I think maybe Doris knew Germain — and Germain knew Sheila and so they all came together. We started going over some stuff and I started working with them and they can all sing, I mean they can sing. So yeah, that was pretty much it. And I brought them out to California and they shot their album cover out there. They're really a great group of girls, very good heads on their shoulders, very smart; it was great working with them. I always wanted to do another record with them, but the record company — they had a really big fight between Arista and Columbia with their album because it got real messy and because Arista really wanted them bad, you know Clive Davis, and Columbia wanted them really bad. And because I was signed to Columbia they were threatening me. So they unfortunately got involved in the politics of what can sometimes happen in the record business. But them as a group, they were amazing and I always thought that if I ever got a chance, I wanted to do something with them again. Andrea Swensson: I was very lucky to be able to be a fly on the wall recently when you and Owen Husney visited 430 Oak Grove, which is where Owen's office used to be, and we got to a go on a little tour of the building and see where you guys all used to hang out. And I remember Owen saying something about the Girls were either rehearsing or recording demos in that space too. Cymone: We recorded their album there, I think we recorded the album there. Andrea Swensson: Oh, you did? Okay, wow. So if you're ever walking down Oak Grove in Loring Park, you can look over and say, not only did Prince jam there, but the Girls also recorded that record. That's super cool. So, we are getting ready for a big homecoming show on July 28 at the Turf Club, ZULUZULUU is also on the bill. Do you want people to know anything else about this big show coming up at the Turf? Cymone: I mean, just come out, it's going to be a great show. My band, we've been rehearsing in Los Angeles and not just rehearsing, but we've been doing shows in Los Angeles. We had a gig right before I left, that was unbelievable. I'm really looking forward to it because we're, we're anxious. Andrea Swensson: And this is really the big like homecoming show about the new record right? Because you've been here doing Prince stuff, but now we get to hear your solo stuff. Cymone: Yeah it is, exactly. I've never been to the Turf Club so it's going to be a little different for me. I'm looking forward to it; I love clubs, I love, I'm a club guy, I love clubs. I think about the Replacements and that's another group that if we had more time and more songs because they have a song that I love called "Waitress in the Sky." Andrea Swensson: Oh sure. Well, I hope someday you write down all these memories because I feel like I could just keep asking you stuff for hours. Cymone: Well it's going to be someday real soon. Andrea Swensson: Oh good, good. Well, we'll end with "Black Man in America." You can find this on the new André Cymone record, 1969.